You are my sunshine, my only sunshine, you make me happy when skies are gray! You´ll never know dear, how much I love you - Please don´t take my sunshine away! A classic by Johnny Cash. Is that your favourite from him? There are so many greats. But did you know it is not initially his song? Anyway, I digress... The lyrics are absolutely ideal for a wall text sticker, so that´s exactly what we at Tenstickers have made! 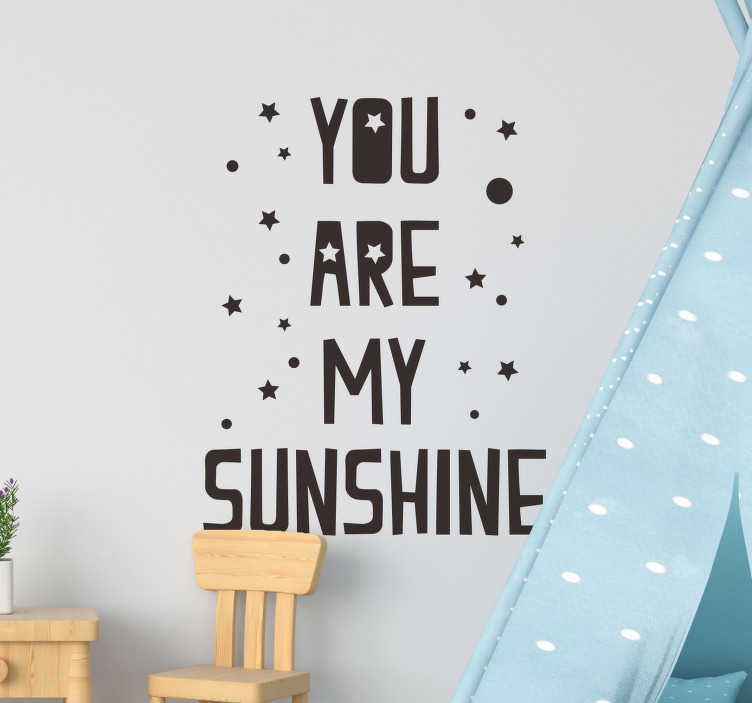 Ideal bedroom decor for those who have a sun in their life!